The NEH has dozens of grant programs developed to help fund museums and educational institutions. The goal of these grants is to provide the public with access to cultural and educational resources by giving institutions the funding necessary to develop them. 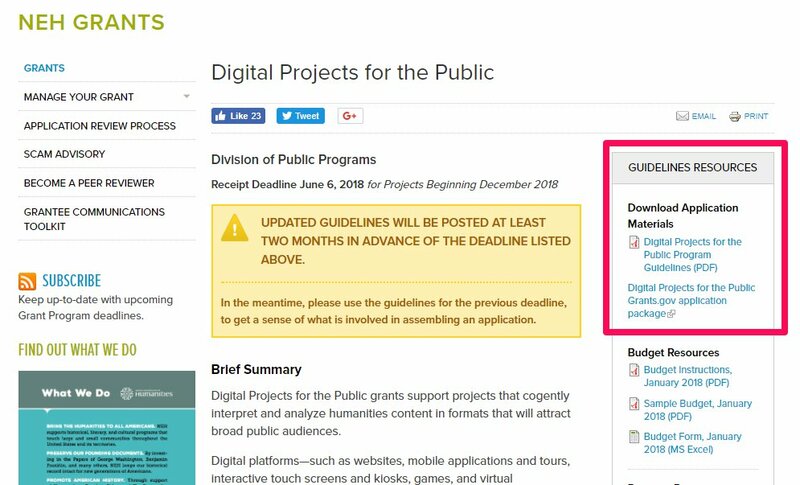 The NEH website was developed to help find and submit requests for grants. Once your program type is selected you can review the “grant overview” to see if your project fits the general requirements. Tip: There are statistics at the bottom of the overview with metrics relating to: total applicants, total grants awarded and the overall acceptance rate. These metrics are informative as to the competitiveness of each grant. Tip: You can speak to a Program Officer and learn more about the NEH grant programs by reaching out to them directly. Contact NEH’s Division of Research Programs at 202-606-8200 or fellowships@neh.gov. Applicants who are deaf or hard of hearing can contact NEH via Federal Relay (TTY users) at 800-877-8399. The NEH website makes it very easy to find all the resources necessary to apply. The application, budget instructions, sample budget, FAQ’s and more are all accessible in the right sidebar. Tip: There are sample proposals which show strong examples of how each question should be successfully answered. Users may also see which applicants have gained funding to give more examples of which projects have been awarded in the past. After you submit your application, you will get up to five emails from Grants.gov confirming submission of your application. Check your junk folder in case the message is flagged or filtered to spam. assigned. The fourth email will contain this NEH application number. If the application is not approved, a message will be sent out with errors and requested updates to re-submit for approval. 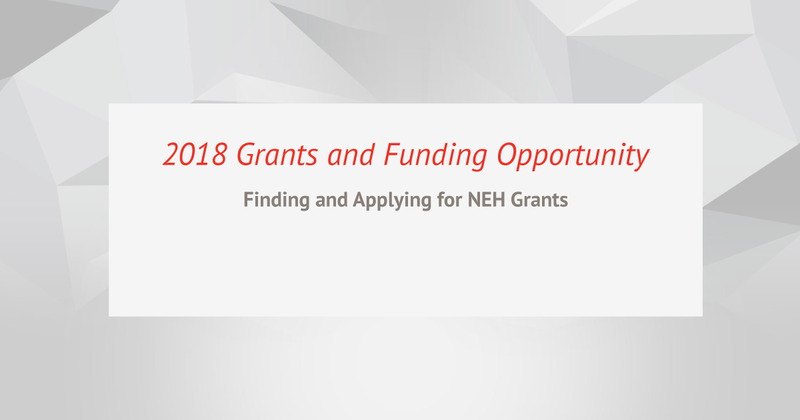 In this video, Mary Downs and Jesse Johnston, both Senior Program Officers at the National Endowment for the Humanities (NEH), share some suggestions and tips for applying for NEH grants and writing successful grant applications to federal agencies. Some of the topics covered include: the importance of having a detailed work plan in place, how to form appropriate expertise teams, how to better think about your project’s long-term sustainability, and addressing NEH’s evaluation criteria. The requirements to get each grant always include a detailed work plan. Gecko Group has successfully helped many entities gain funding for their projects. If you have a project you would like to pursue, Gecko Group can help you create a work plan to meet the requirements and gain funding.